The Knesset approved early Tuesday morning the first reading of the “Supermarket Law”, which will grant the Interior Minister the powers to disqualify municipal bylaws promoted by the local authorities, effectively shutting down supermarkets that had been operating on the Sabbath with permission from the local authority. 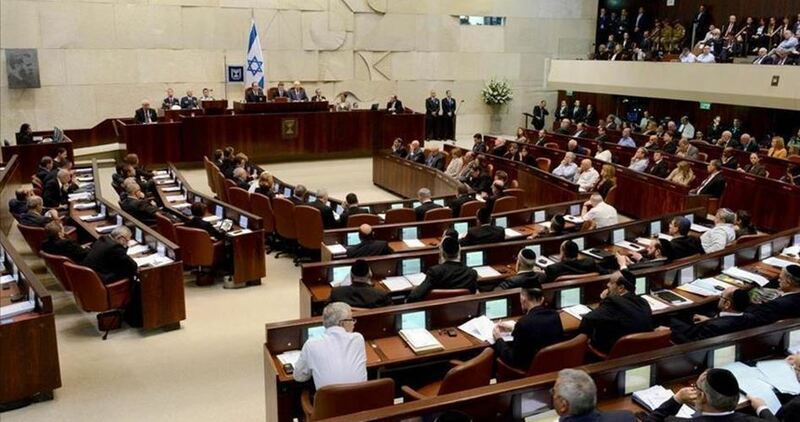 The motion was approved by a majority of 59 MKs who voted in favor and 54 who voted against. One MK abstained. Interior Minister Aryeh Deri (Shas), who initiated the legislation, threatened to resign from the government if the law was not approved in its first reading. Prime Minister Binyamin Netanyahu shortened his trip to Europe and exerted pressure on MKs from the Likud who threatened not to support the bill, namely Sharren Haskel and Yehuda Glick. Glick finally agreed to support the bill in exchange for the coalition's agreement to promote a bill banning the publication of cigarettes and tobacco products, except in the printed press. Under the bill, bylaws concerning opening and closing of businesses on Saturdays and Jewish holidays will require the agreement of the minister of the interior. Agreement will be granted only for businesses supplying vital needs. Israel has reduced the permitted area for Gaza fishermen to practice their trade from 9 nautical miles off shore to 6 nautical miles. Palestine Fishermen's Union President Nizar Ayyash on Monday told the PIC that they had been notified of the decision by Israeli occupation forces. Ayyash said that the reduction in fishing area will come into effect on Tuesday afternoon. Around 4,000 Palestinian fishermen work off the coast of the Gaza Strip, which is under Israeli blockade, providing vital food to 50,000 people. 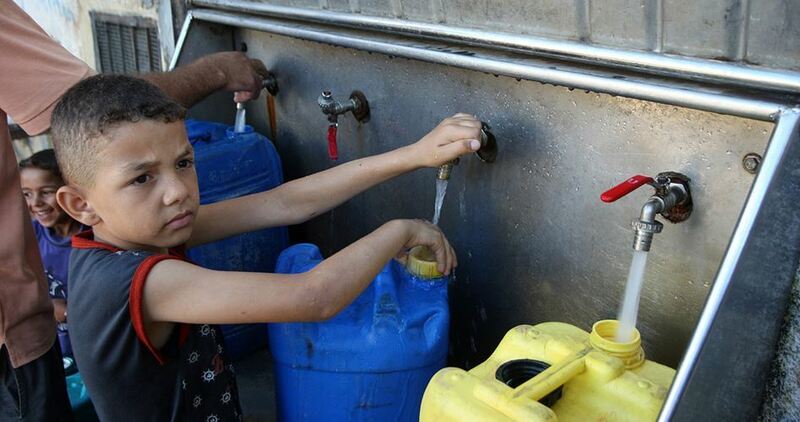 The municipal council of Zabada town, south of Jenin in the occupied West Bank, has warned that the water crisis in the town will aggravate in view of Israel’s refusal to supply it with its water needs. This came during a meeting held recently between chief of the Zabada municipality Wajeeh Zaid and deputy mayor of Jenin Kamal Abul-Rab. Zaid stated that his municipality had submitted a request to the Israeli competent authorities to allow the town to get water from a nearby pipe owned by Mekorot water company, but the Israeli side did not respond. The municipal official urged the Palestinian government to implement water projects in the town to solve the crisis. Zabada town is located near the separation wall, and a vast tract of its land has been annexed by Israel for settlement construction activities. The Israeli occupation forces demolished on Tuesday a Palestinian building in Wad al-Humus, south of Occupied Jerusalem. The facility’s owner Ahmed Bkeirat said Israeli forces, escorted by bulldozers, razed his well-equipped carwash to the ground under the pretext of unlicensed construction. The building, covering an area of half a dunum and formerly owned by Ahmed’s father, was expected to be inaugurated later in the day. On November 26, the Israeli municipality issued an order to demolish the carwash, shortly after which the owner’s lawyer objected the order. However, the building was reduced to rubble in less than 10 days. Ahmed said the carwash is the only source of living for his family and children. 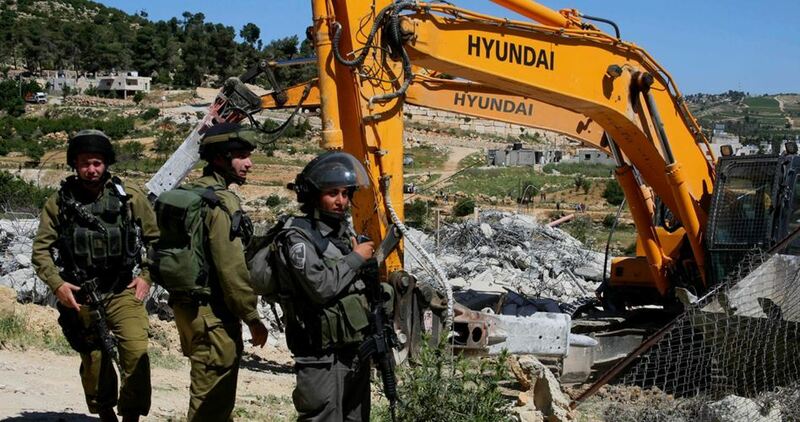 Earlier in the day, Israeli bulldozers demolished the foundations of a Palestinian building in Ras Shahada, northeast of Occupied Jerusalem, and notified the demolition of 10 Palestinian facilities near the apartheid wall under the pretext of unlicensed construction. At least seven Palestinian buildings were knocked down by the Israeli occupation forces and authorities in November. Two others were self-demolished by their owners for fear of being heavily fined by the occupation authorities. Israeli navy ships attacked, on Sunday evening, a Palestinian fishing boat in the Sudaniyya Sea, in the northern part of the Gaza Strip. The Navy fired many live rounds at the fishing boat, wounding one fisherman. They then seized the boat and detained five fishermen. The attack took place in Palestinian territorial waters, less than 2.5 nautical miles from the shore. Amjad Sharafi, secretary-general of the Gaza Fishermen Union, said in a statement that the Israeli navy illegally attacked a fishing boat owned by Khamis Abu Sadeq, and confiscated it. The detained fishermen have been identified as Sami Nabil Abu Sadeq, Mohammad Ahmad Sadeq, Sayyed Nasser Halabi, Ayman Ahmad Tolba, and his brother Ehab. 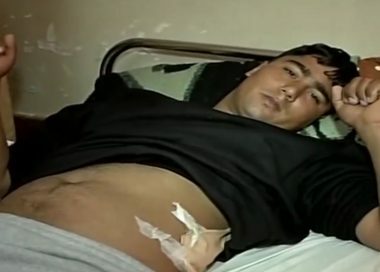 The wounded fisherman, Mohammad Bakr, said the navy also fired many live rounds, destroying the motor and causing serious damage to the boat, in addition to wounding him in the abdomen. He added that the navy ordered the fishermen to jump in the water, one by one. All of them were abducted and interrogated, and were released later, but their damaged boat was confiscated and towed to Ashdod Port. The boat’s owner said the navy had destroyed his only source of livelihood, and confiscated it. Yamen al-Madhoun, of the Al-Mezan Center for Human Rights said that this year alone, the navy has killed one fisherman, abducted ten others, and wounded four, in addition to confiscating three boats. It is worth mentioning that in the last ten years, the navy has killed five fishermen, wounded 107 others, and abducted 547 fishermen, and confiscated 181 boats. Israeli occupation naval forces on Sunday evening arrested five Palestinian fishermen off the shores of northern Gaza sea. According to local sources, Israeli naval forces also confiscated the fishing boat of the detained fishermen. 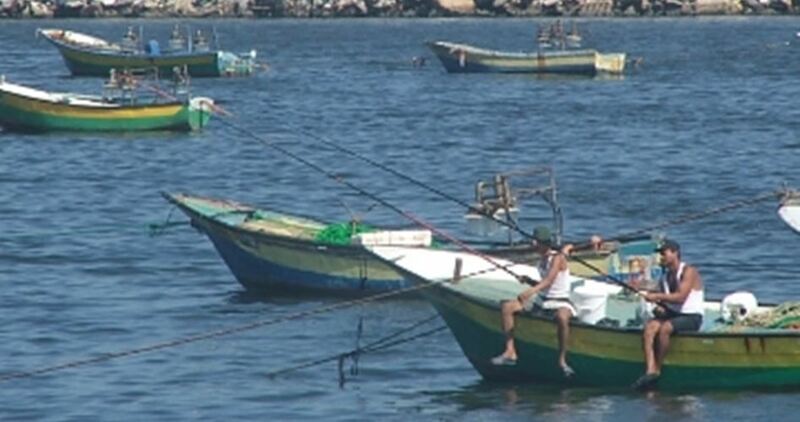 Palestinian fishermen in Gaza regularly face such attacks by Israeli occupation navy even within the designated fishing zone in blatant violation of the truce agreement which was signed by Palestinian factions and Israel and brokered by Egypt in 2014. 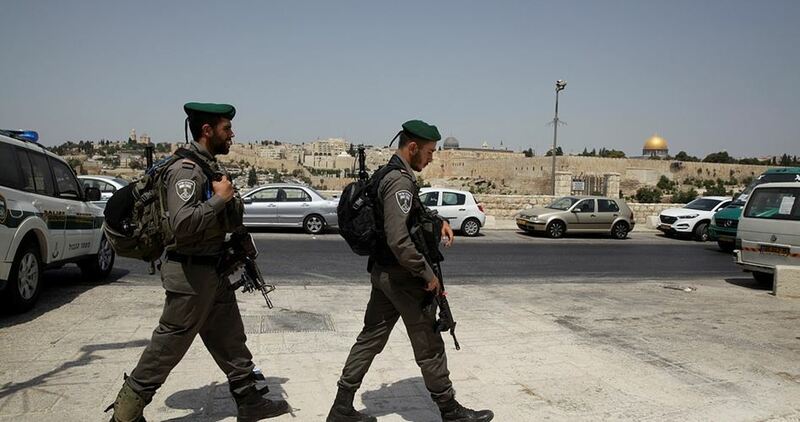 An Israeli crew of municipal employees escorted by police forces stormed Issawiya district, east of Occupied Jerusalem, on Sunday morning and embarked on imposing heavy taxes and fines on several commercial stores. 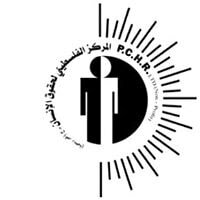 Local sources told the Palestinian Information Center (PIC) that employees from the Israeli municipality in Jerusalem raided stores to collect taxes from their owners or charge them financial penalties. 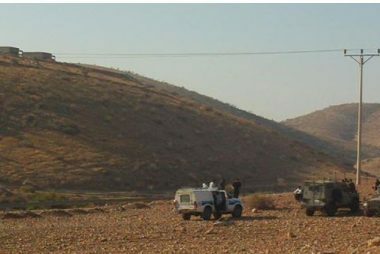 During the collection campaign, police troops stopped Palestinian vehicles at the western entrance to Issawiya and searched them. Major crossings between Israel and the Palestinian territories are expected to be shut down on Sunday due to an Israeli labor dispute, halting the transfer of goods and banning the movement of over 70,000 Palestinian workers, Hebrew sources reported on Saturday. 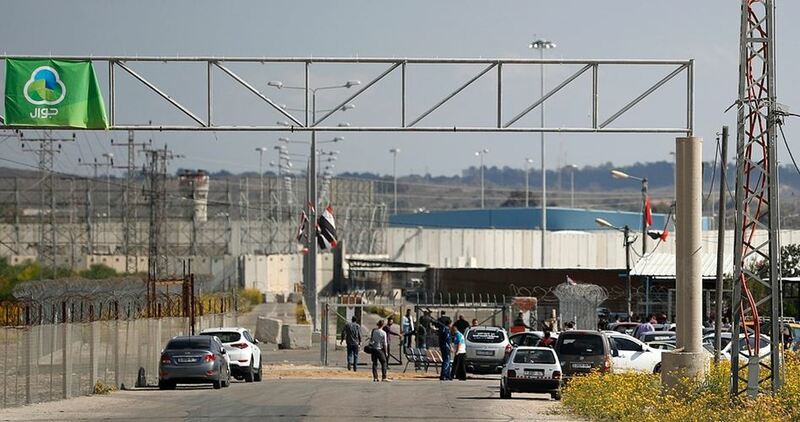 Israel’s border crossing staff members, who administer many of the border terminals between Israel, the occupied West Bank, and the blockaded Gaza Strip, have been on a strike to protest their employment conditions. The union representing crossings workers said that they had reached an impasse in talks with government officials. Among the border crossings affected by the strike will be Gaza’s Erez crossing — the main passage point for civilians in and out of the Strip — as well as the Kerem Abu Salem crossing, the main point of entry for goods into Gaza. The entry of essential equipment and much-needed humanitarian aid will also be at risk as a result of the strike. Extremist Israeli colonists, illegally living on Palestinian lands, attacked many Palestinian shepherds, Friday, and forced them out of grazing lands, in the Northern Plains of the occupied West Bank. The colonists came from the illegal Rotem outpost, chased the farmers out of the grazing lands, and threatening to shoot them if they do not leave the area. One of the shepherds, identified as Morad Abu Mohsen, said that the colonists were backed up by Israeli soldiers, who also attacked the Palestinians, and forced them away. It is worth mentioning that farmers and shepherds in the area face constant violations and assaults by both the soldiers and colonists. Dozens of Israeli soldiers invaded, on Friday at dawn, the towns of Azzoun and Kafr Thulth, east of Qalqilia, in the northern part of the occupied West Bank. 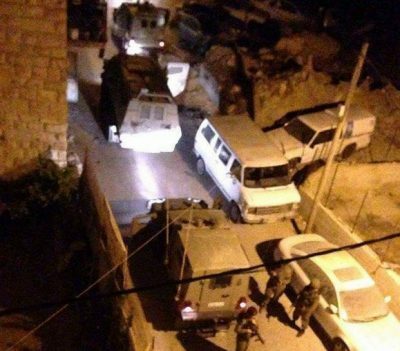 The army also invaded many homes in Bethlehem governorate, and summoned several Palestinians for interrogation. Media sources in Qalqilia said the invasions were simultaneously carried out after midnight, after the soldiers surrounded the two towns. 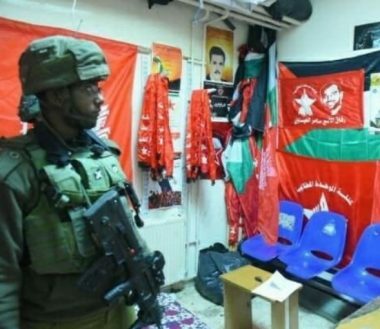 They added that the soldiers broke into and ransacked several homes, and interrogated many Palestinians while inspecting their ID cards. The soldiers also invaded several stores in Azzoun, especially in the al-Mothallath and ash-Shameyya neighborhoods. In Bethlehem, the soldiers invaded Aida refugee camp, north of the city, and summoned Mohammad Nasser Badawna, 19, for interrogation. 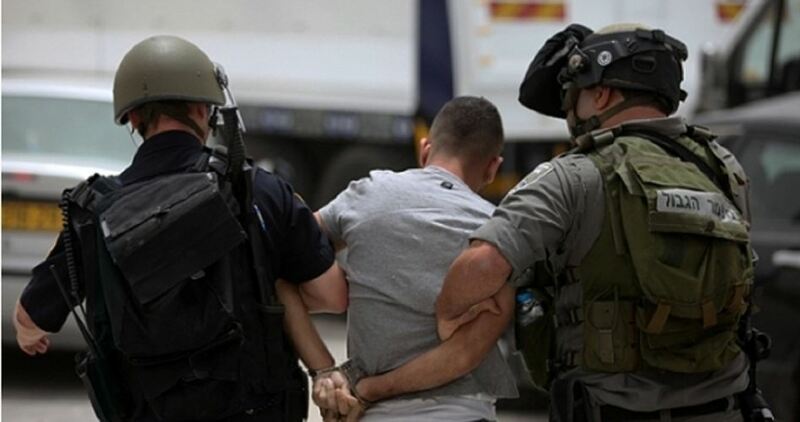 The soldiers also summoned for interrogation Moath Nader Jawareesh, 24, from Beit Jala, west of Bethlehem, Moath Abdul-Jabbar Abu Tarboush, 35, from the al-Azza refugee camp, north of Bethlehem, and Hasan Ahmad Nuwwara, 31, from Hindaza, after invading and searching their homes. 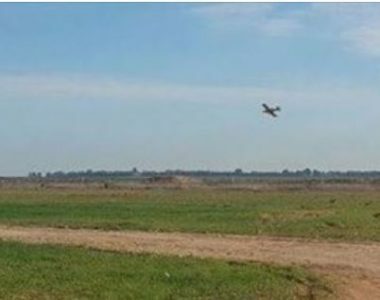 They added that a special committee was formed to take samples if the toxins which were sprayed by the Israeli planes, to conduct the needed lab analysis.